Seaside Yoga Sanctuary is offering a *$9 drop-in for the whole month of April. PLUS, a 1 month unlimited share pass; 2 people can join for only **$150! 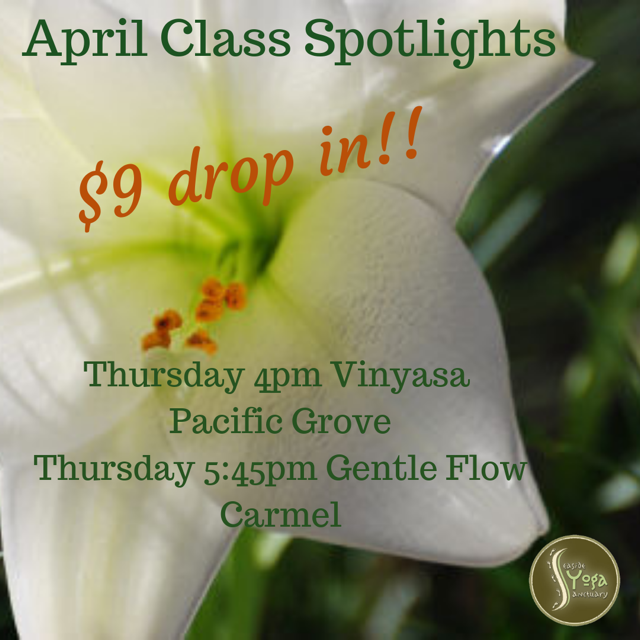 *$9 drop-in is offered at their 5:30pm gentle vinyasa class on Thursdays only. **At least one of the two on the shared pass must be new to the studio.